Great alert system for those who have a baby. The Signaler unit is small, compact and just plugs directly into the outlet in your baby's bedroom. 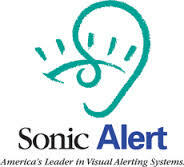 Simply connect the included Sonic Alert Receiver to your lamp in any room you would like to be alerted in when your baby cries. (You may also purchase additional signalers to be alerted if you move from room to room while the baby sleeps.) 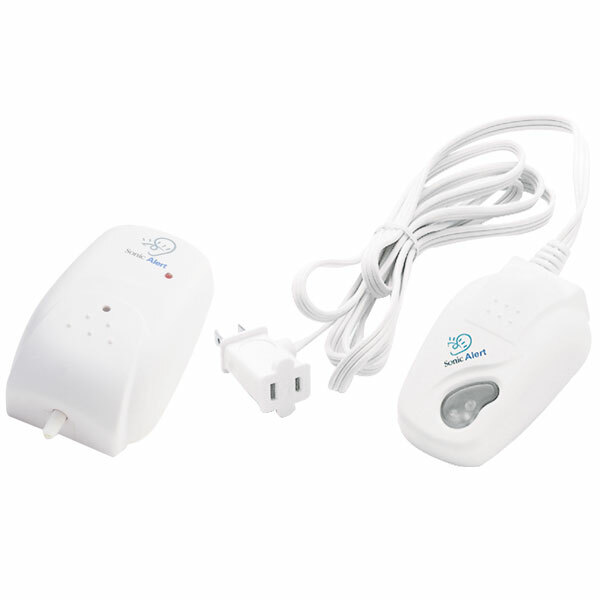 Once the baby cries, the hearing alert system is activated and sends a signal over your home's electrical system to your Sonic Alert Receiver, thus flashing the lamp you have plugged into it. The unit has an adjustable sensitivity control that it is so sensitive, it allows you to be alerted to sounds as soft as a baby's whisper. Has an indicator light to assure you that the unit is working. 5 year manufacturer warranty. U.L. Listed.